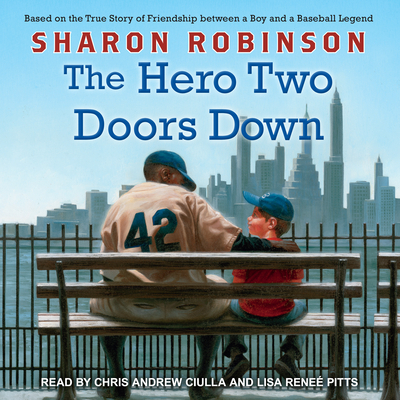 Stephen Satlow is an eight-year-old boy living in Brooklyn, New York, which means he only cares about one thing-the Dodgers. Steve and his father spend hours reading the sports pages and listening to games on the radio. Aside from an occasional run-in with his teacher, life is pretty simple for Steve. But then Steve hears a rumor that an African American family is moving to his all-Jewish neighborhood. It's 1948 and some of his neighbors are against it. Steve knows this is wrong. His hero, Jackie Robinson, broke the color barrier in baseball the year before. Then it happens-Steve's new neighbor is none other than Jackie Robinson Steve is beyond excited about living two doors down from the Robinson family. He can't wait to meet Jackie. This is going to be the best baseball season yet How many kids ever get to become friends with their hero?